Tom White Endorses Mark Obenshain for Attorney General | Virginia Right! It looks like Virginia Right! has a split decision on the Attorney General Candidate this year. My fellow blogger Sandy Sanders has already endorsed Rob Bell and by agreement between us if we do not agree on an endorsement, we may endorse personally, but not in the name of Virginia Right! Both Rob Bell and Mark Obenshain are good men and well qualified to be Attorney General. So this was not an easy decision and I have researched, listened to and vetted both gentlemen. And I fully and completely endorse Mark Obenshain for Attorney General of Virginia and he will get my vote as a Delegate at the Republican Convention. I was one of the group of Virginia TEA Party Federation and Middle Resolution members who spent 2 days last week vetting all 9 of the Republican Candidates for Lt. Governor and Attorney General. I went into that process uncommitted to any candidate and graded each one in a fair and consistent manner. And for Attorney General, that process was the clear and deciding factor in my decision to support Obenshain. The TEA Party Federation and Middle Resolution accepted questions in advance and boiled them down to a total of 32 questions. There was also a written form submitted to each candidate prior to the 2 day event. These were detailed and in depth and held in strict confidence. None of the information was released to the group, but the overall assessment was. This was released as a score based on completeness of answers. In addition, some light opposition research was done based on property records and other publicly available information. This score was added to the results of the scores the 200 or so attendees gave to each candidate on each of the 32 questions. And these questions were really good and the candidates were instructed to avoid the stump speech and just answer the questions briefly. And the moderator did a really good job of being fair and objective while keeping a close eye on the clock. 32 questions in 60 minutes does not allow for a lot of pontificating. Going into the vetting process of last week I had Mark Obenshain ahead on points based on my research (which I will share in this post). I have listened to each of the two candidates at least 4 times each and had the opportunity to ask questions to both. I was still undecided going into the vetting process and either candidate had an equal shot at my Convention vote based on their performance. And while the winning the endorsement of the TEA Party Federation and Middle Resolution with this vetting process carried a lot of weight, I believe there were some other factors not included in the aforementioned vetting that must be considered before an endorsement is offered. But the fact was, Mark Obenshain received a nearly perfect score from me. He nailed every question and was no more than a word or two from a perfect score (from me). Because I was really impressed with the design and quality of the 32 questions, going in I really thought it would be nearly impossible to score high on these. And in private discussions with others at the vetting, everyone was blown away. I heard from a few that said his answers had moved them from leaning Bell to strong Obenshain. 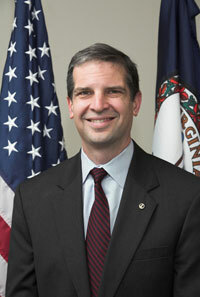 One even remarked that perhaps sitting beside Ken Cuccinelli had influenced Obenshain. I wondered if perhaps it was the other way around. But there were a number of intangibles that were not graded including demeanor, body-language, and the confidence in their answers. All of the candidates know what we want to hear. And it is not hard to simply tell people what they want to hear, and these are all smart people. But my prior research must be added in to complete the picture and earn my endorsement and vote. One of the clearest indicators of who you are is the opinion of those you work closely with. I think most Conservatives will agree that raising taxes in a recession (or any time) is not a good thing. Rob Bell voted against Governor McDonnell’s TAX-Portation (H/T E.W. Jackson) bill. And we all know the “Yea” votes were cast by the Big Republican Machine who rolled over Virginia as usual. Any of the people voting for this increase deserve losing their office. They have done the state a horrible disservice. But one disturbing thing I noticed about Rob Bell is that of the 42 Republicans who voted for higher taxes, 23 of these have endorsed Bell. They are Dave Albo (42), Kirk Cox (66), Mark Dudenhefer (2), Jim Edmunds (60), Tag Greason (32), Chris Head (17), Gordon Helsel (91), Sal Iaquinto (84), Terry Kilgore (1), Barry Knight (81), Joe May (33), Donald Merricks (16), Richard Morris (64), John O’Bannon (73), Bobby Orrock (54), Charles Poindexter (9), Bob Purkey (82), Tom Rust (86), Ed Scott (30), Chris Stolle (83), Ron Villanueva (21), Speaker Howell (28), Bill Carrico (40) (Senate). These are the people that know Bell’s legislative heart and work product well and who were part of this “behind closed doors” tax deal. This indicates to me that the majority of those Republicans who are willing to raise taxes see Bell as someone who is willing to play ball behind closed doors when he is not running for election. This gives Bell negative points in the Fiscal Conservative column for me. And Project Vote Smart reveals that while Rob Bell has become more Conservative over the years, he didn’t start out that way while Obenshain has been very consistent. In the area of Abortion, Bell has been rated as high as 50% by NARAL and Planned Parenthood while Obenshain has consistently received 0% from the pro-abortion groups. And in the same Project Vote Smart reports referenced above, Bell has ratings as high as 50% for groups like Equality Virginia that promote homosexual agenda, even in our schools while Obenshain receives a consistent 0% from these groups. And Bell has received some fairly low ratings from 2nd Amendment groups in the same reports while Obenshain is 100% pro 2nd Amendment. Also, bell scores well with Unions – as high as 50% – while Obenshain has received all zeros for union support. And in a part of Bell’s stump speech on crime also has me worried about his liberal leaning tenancies. He differentiates between criminals he calls “knuckleheads” and the more hardened criminals. And while I don’t disagree with the concept of leniency for a person who did something stupid, I don’t believe that privilege falls to the Prosecutor – which is the context of his speech. I believe it is the job of the Prosecutor to determine which laws were broken and it is up to a judge or jury to decide on the punishment, not the Prosecutor. If a judge wants to dismiss a charge, that is what they do. I was also concerned with Rob Bell’s body language at the TEA Party / Middle Resolution vetting. He came across as leery of the process and parsed every word and phrase in every question as if there may be some trick at work. He seemed uncomfortable and Obenshain was as relaxed and confident and personable as he usually is. So at the end of the process, both mine and the TEA Party / Middle Resolution, I have great apprehension towards Bell. I am uncomfortable with the fact that he started out less Conservative and was palatable, even somewhat, to far left groups like Abortion advocates and Homosexual Groups. In addition, I am far less certain that Republicans can hold onto Bell’s (Thomas Jefferson’s) seat and fairly confident Obenshain will be replaced by a Republican. And when I total up my score, Mark Obenshain is far ahead on points and earns my vote and my confidence. ← BRING the COPPERHEAD MOVIE to RICHMOND! Both Obenshain and Bell were class acts at the 2013 RPV Convention.